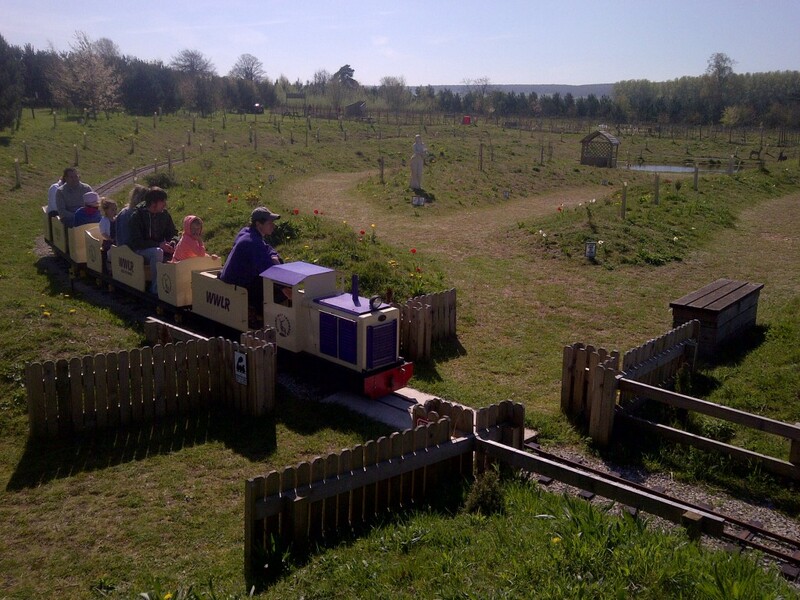 The last few weeks has seen the seasonal maintenance being carried out on the Lavender Express and the track. Levelling the track involves crawling round the whole site on your hands and knees with a spirit level, crow bar, lump hammer and gloves. The ideal attire involves work pants with big thick pads to protect the knees, essential breakfast food to get through the day; at least three weetabix. 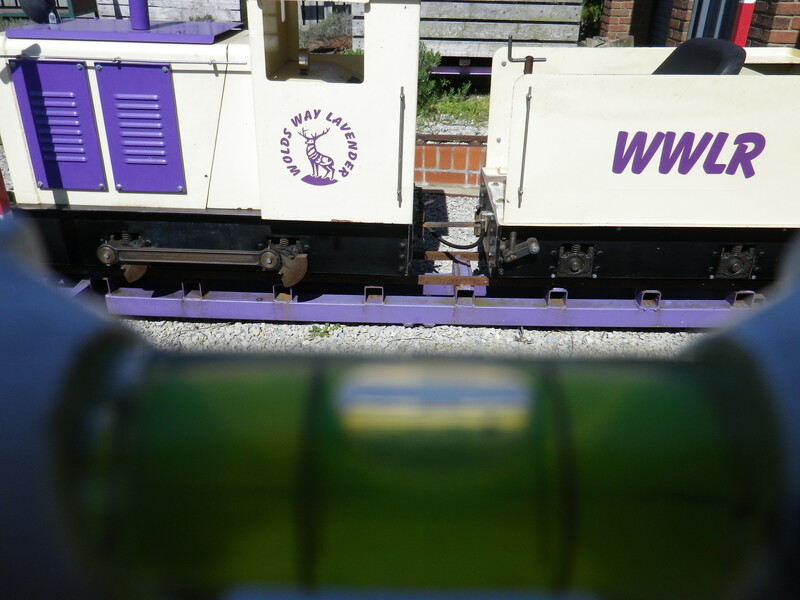 The Lavender Express has been given a thorough going over changing the oil and checking brakes etc. The ultimate test is the first drive round the site, passenger-less to ensure all is well. Then onto a spot of driver refresher training to ensure nothing has been forgotten. The end result is the first passenger carrying train ride of the season!